Now that 'Doctor Who' is on hiatus until the fiftieth anniversary in November, we're back to showcasing some interesting videos about the show. Over the summer I'll be showcasing the videos for the new shows that will be seen on the networks this Fall. My only complaint (so far, having not seen the actual pilot) is that Ichabod Crane is now a pretty boy instead of the gangly schoolteacher he was when he was first alive. The only splainin I can come up with right now is that somehow during the magical revival process, Ichabod was physically transformed. This way we can keep this show in Earth Prime-Time along with the first portrayal of the character which would be Jules Munshin in an episode of 'Shirley Temple's Storybook'. 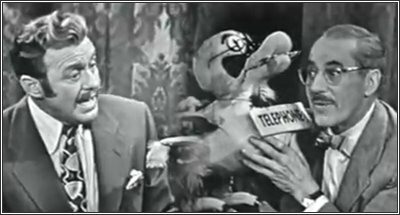 Jack Benny appears on Groucho's game show in disguise in order to win some money. When Dr. Megan Hunt told Detective Tommy Sullivan that she believed an escaped convict was in search of the real killer of his lover, Tommy sarcastically asked if it had been committed by the one-armed man. This was a reference to the killer of Dr. Richard Kimble's wife back in the 1960s, as seen in 'The Fugitive'. For the people within the Toobworld reality, that was a true life crime that made headlines all across the country. So when references are made to 'The Fugitive', it could either be to the real life news event of Toobworld or to the movie made about the case. But it would not be a Zonk about the TV series starring David Janssen. If Janssen himself is ever mentioned in connection to the series, then it means the story of Dr. Kimble was previously made into a movie, perhaps a TV movie. I think in this case, Tommy was referring to the actual crime, being a cop himself. Dharma auditioned to be the drummer for Bob Dylan. Bob Dylan (born Robert Allen Zimmerman; May 24, 1941) is an American musician, singer-songwriter, music producer, artist, and writer. He has been an influential figure in popular music and culture for more than five decades. Much of his most celebrated work dates from the 1960s when he was an informal chronicler and a seemingly reluctant figurehead of social unrest. A number of Dylan's early songs, such as "Blowin' in the Wind" and "The Times They Are a-Changin'", became anthems for the US civil rights and anti-war movements. Leaving his initial base in the culture of folk music behind, Dylan's six-minute single "Like a Rolling Stone" radically altered the parameters of popular music in 1965. His recordings employing electric instruments attracted denunciation and criticism from others in the folk movement. Dylan's lyrics have incorporated a variety of political, social, philosophical, and literary influences. They defied existing pop music conventions and appealed hugely to the then burgeoning counterculture. 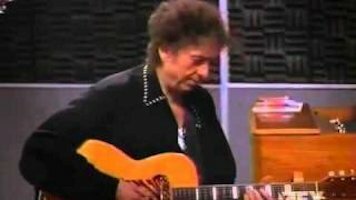 Initially inspired by the performance style of Little Richard, and the songwriting of Woody Guthrie, Robert Johnson, and Hank Williams, Dylan has both amplified and personalized musical genres. His recording career, spanning fifty years, has explored many of the traditions in American song—from folk, blues, and country to gospel, rock and roll, and rockabilly to English, Scottish, and Irish folk music, embracing even jazz and swing. Since 1994, Dylan has published three books of drawings and paintings, and his work has been exhibited in major art galleries. As a songwriter and musician, Dylan has sold more than 100 million records worldwide and received numerous awards over the years including Grammy, Golden Globe, and Academy Awards; he has been inducted into the Rock and Roll Hall of Fame, Minnesota Music Hall of Fame, Nashville Songwriters Hall of Fame, and Songwriters Hall of Fame. The Pulitzer Prize jury in 2008 awarded him a special citation for "his profound impact on popular music and American culture, marked by lyrical compositions of extraordinary poetic power." In May 2000, Dylan was awarded the Polar Music Prize. In May 2012, Dylan received the Presidential Medal of Freedom from President Barack Obama. Also seen in the video are T-Bone Burnett, Joe Henry, Tony Gilkyson, and John Fields - all playing themselves as well. When Marc Maron found out that his estranged father had been selling questionable "vitamins" from his mobile home, he couldn't believe it. "Who are you?" he asked. "Walter White?" Walter White is the former high school science teacher who has become a meth maker and major distributor in the American Southwest, as seen in 'Breaking Bad'. Right now, as far as we have seen on TV, he is not a household name. So one would think that this is a Zonk reference to Walter White as a TV character when he should be sharing the same TV dimension as the televersion of the comic. But the show will be ending this summer and who knows what that will bring? Will Walter White be able to go to his grave "peacefully" and in anonymity with no one the wiser of his illegal activities? Or will he die in a blaze of "in-glory"? Perhaps he'll be arrested by his own brother-in-law, a DEA agent. Either of those last two options could make his name known to anyone following the news, as Marc Maron would normally do to find fodder for his comedy act. And it all comes down to the perception of Time in Toobworld. The passage of time is fluid in TV with no two shows moving at the same rate. 'Lost' is a good example of this in that no more than 108 days at most passed in "real" time before they finally left the island. And yet for us watching at home, it took about six years to see that happen. So let's say that time span is collapsed for 'Breaking Bad'. And those weekly breaks between episodes could be collapsed as well. That means when the storyline for 'Breaking Bad' concludes, it may have occurred already on the Toobworld timeline and not around the same time as when we see it happen. 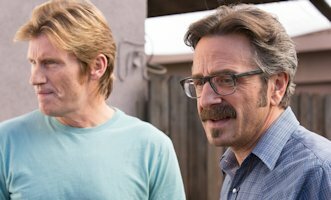 Combining the two, it could be that by the time Marc Maron accused his father of being a "Walter White", the storyline of 'Breaking Bad' has come to an end. When Howard Wolowitz was having relationship problems with Bernadette Rostenkowski, he sought advice from his fantasy figure, the star of 'Battlestar Galactica'. In this case, 'Battlestar Galactica' is a fictionalized TV show within the main Toobworld. It was created by the "UNReel" group to keep people from discovering that the Galacticans had actually arrived in the Sol system back in 1980. Kathryn Ann "Katee" Sackhoff (born April 8, 1980) is an American actress known mainly for playing Captain Kara "Starbuck" Thrace on the Sci Fi Channel's television program 'Battlestar Galactica'. In 2004, she was nominated for the Saturn Award for Best Supporting Actress on Television for her work in the 'Battlestar Galactica' mini-series. In May 2006, she won the Saturn Award for the same role. She has also starred in the horror-thriller "White Noise: The Light" and the eighth season of '24' as Dana Walsh. She currently costars in the A&E series 'Longmire' as Deputy Sheriff Vic Moretti. WLIW-21, the Public Television outlet on Long Island, recently concluded its run of all the 'New Tricks' episodes currently available. And the next season promises a major overhaul of the cast. Only one remaining member of the original cast will remain - Dennis Waterman, who plays Gerry Standing. Joining him will be Denis Lawson who came on board during the latest season as Stephen McAndrew from Glasgow, replacing Jack Halford (played by James Bolam). Also new to the cast will be Nicholas Lyndhurst and Tamzin Outhwaite, who will be replacing Brian Lane (Alan Armstrong) and the head of UCOS Sandra Pullman (Amanda Redman) respectively. Jack's exit from the UCOS team was played out - it turns out that he only had months to live due to cancer of the liver (maybe the pancreas?) as we learned at the end of the August 2012 episode "A Death In The Family". By the end of the last episode, "Glasgow UCOS", we still didn't know if Jack was alive or not. The timeline for 'New Tricks' is dependent on the British broadcast, so unless it's stated otherwise in the first episode of the tenth season, it will be almost a year since Jack Halford left the team. And so it can be assumed that he has passed away. Which got me thinking about other TV characters, no longer on our TV screens, who are probably dead by now. O'Bviously characters from the long past - in Westerns, Victorian costume dramas, Roman epics, caveman days, etc. are dead and buried - unless something about them made them immortal as in 'Highlander'. And those from TV shows set in the far future aren't even born yet. 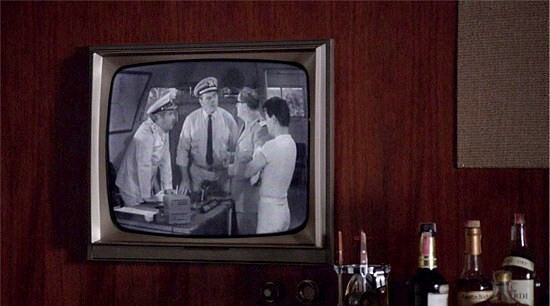 The time periods depicted in TV shows set in the mid-20th Century - like war dramas, noir private eye shows, Eisenhower-era sitcoms - that's a grey area. The much older characters from those shows - yeah, they'd be pushing up daisies by now. But it's pozz'ble, just pozz'ble, that some of the younger ones could still be alive. But he was suffering from relapsing-remitting multiple sclerosis which would eventually kill him. He already made plans with his wife, Dr. Abigail Bartlet, to end his life before he was too far gone with the terminal disease. So it could be that while he was still capable of making his own decisions, and more importantly, acting on them, former President Bartlet committed physician-assisted suicide. (The "Death with Dignity" Act met with defeat in New Hampshire in 2011, but that was in the real world. In the 'West Wing' dimension, it may have passed, leaving Abby Bartlet free of charges. At the end of the series, Wilson was suffering from terminal cancer. So House agreed to accompany him on a cross-country motorcycle trip and to be with him until the very end. The series ended in May of 2012 and it's likely that Wilson is now dead a year later. And it doesn't mean that he died from the complications of the disease or through some sort of assistance by House. He could have wiped out in a motorcycle crash, impaired by his condition. This HBO series came to a controversial halt when the screen just suddenly went black during the finale. 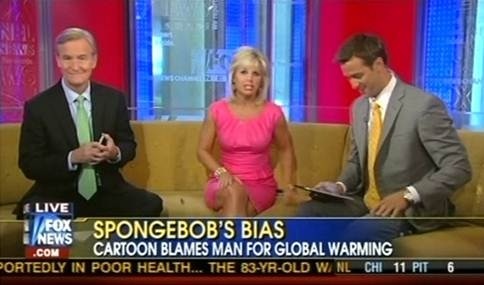 (I even jumped up thinking that something was wrong with my TV!) But we left Tony Soprano with his family in a Jersey diner, where he was always watching the door as each person came in - never knowing if the next person to enter would be a rival mobster looking to rub him out. "T" survived for far too long on luck, especially due to the fact that the law enforcement of the area were too stupid to find the evidence needed to arrest him. But nobody's luck runs that long - unless of course it was Henry Weems from the 'X-Files' episode "The Goldberg Variations". So I think by this point (since the series ended in 2007 (Has it been THAT long ago? ), Tony Soprano has been killed and is probably providing support in a bridge abutment. Let's face it - after winning two Oscars, it's highly unlikely that we'll ever see Sally Field playing Sister Bertrille again. The closest we came was during the 2013 presentation of the Oscars, when host Seth MacFarlane cajoled her to put on the cornet headgear one more time. I'm thinking that eventually Sister Bertrille, the former Elsie Ethrington, might have had a tragic accident, perhaps even a mid-air collision with a bird, and that she plummeted to the ground or was dashed upon the rocks of the cliffs along the coast. As she got older and put on some weight, she might not have realized that it would adversely affect her aerodynamics. And she might have suffered early onset Alzheimer's and didn't properly prepare herself on that last doomed flight. Hawkeye was the same age as the actor who played him, Alan Alda. And Alda is still hale and hearty and working steadily in the business. However, Hawkeye was not Alda's contemporary; he was that age nearly two decades earlier. That means he was twenty years Alda's senior (as well as many of the other Alda characters in Toobworld, like Milton Green of '30 Rock'). And if calculations are correct, then he was born in 1914 and would be 99 years old today. The way he drank during the Korean Conflict, I doubt things changed for the better once he returned home to Crabapple Cove, Maine. 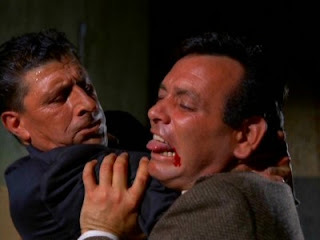 Besides, he may have made a trip down the coast to Cabot Cove and ended up a murder victim. But don't worry - I'm sure Jessica Fletcher figured out whodunnit. 6] BERTHE OLSSEN, "Open Window"
After mocking Marc Maron's manhood during a podcast, Leary challenged him to get the dead possum out from under his house by himself. Denis Colin Leary (born August 18, 1957) is an American actor, comedian, writer, director and film producer. Leary is known for his biting, fast paced comedic style and chain smoking. He is the star and co-creator of the television show 'Rescue Me', which ended its seventh and final season on September 7, 2011. Leary has starred in many motion pictures, most recently as Captain George Stacy in Marc Webb's 2012 film "The Amazing Spider-Man" and the voice of Diego in the animated "Ice Age" series. Have you had a look of late at talk shows? 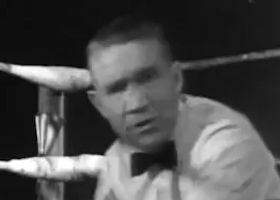 At a charity boxing match between Benny Brenoff and Leland Lamont, Callahan served as the referee. Mushy Callahan was the ring name of Vincent Morris Scheer, a boxer and a champion in the light welterweight division. Callahan was born on November 3, 1905, in New York City. He took the ring name of Mushy Callahan and began boxing in 1924. On September 21, 1926, Callahan fought Pinky Mitchell for Mitchell's light welterweight championship. Mitchell was the first champion of this weight class, which had been created in 1922. At the time, not many people recognized the championship of this weight class as a legitimate title. 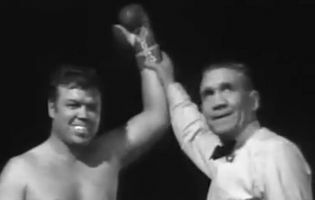 Nevertheless, Callahan beat Mitchell over ten rounds and won the title. Callahan defended his title twice in 1927 and fought a variety of non-title fights from 1927 to 1929. In 1930 he put his title on the line against Jack Kid Berg on February 18 in London, England. Berg knocked him out in ten rounds to win the title. There is some dispute about the title being on the line in this fight. The National Boxing Association (NBA) had stripped Callahan of its version of the title before the Berg fight. Furthermore, at the time of the Berg fight, Britain did not recognize the light welterweight division. The New York State Athletic Commission recognized the Berg-Callahan fight as being for the title, however, and Berg won NBA recognition in 1931. For that charity boxing match at the Valley Garden, Jimmy Lennon served as the ring announcer. 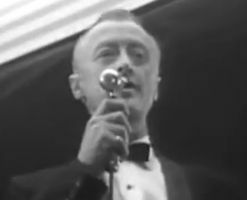 Jimmy Lennon Sr. (April 13, 1913 - April 20, 1992) was one of the top announcers of the boxing and wrestling world. 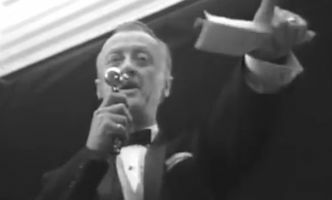 Known as "The Voice of the Olympic" Auditorium in Los Angeles, California, as well as "The Irishman With the Spanish Accent." For over 40 years, Lennon's unique professional ring eloquence and dapper style of fight announcing and tuxedo attire, along with innovated showmanship and the singing of the United States National Anthem could be seen live at The Grand Olympic Auditorium or over the television networks. 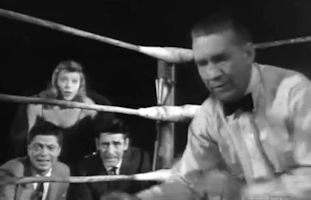 Lennon first became a ring announcer in Santa Monica, California, at the Ocean Park Arena, while working there as the regular patriotic singer of the National Anthem. The regular ring announcer at the time was unavailable so the event coordinator asked Lennon if he would fill in as ring announcer. At the time Lennon was wearing a tuxedo to sing in, and also wore the tuxedo during that first announcing job. His boss liked Lennon's performance so well, he hired Lennon as the regular fight announcer, tuxedo and all. Lennon started the "Tux Announcer" style that night. Lennon appeared in 75 productions, including "Raging Bull", "Rocky III", "Main Event", "California Split", "Tough Guys", "Kid Galahad", 'The Munsters', and 'The Monkees'. Lennon was the character of a Jakks Pacific action figure released in 2007, depicting his "Rocky III" appearance. He was the uncle of the Lennon Sisters vocal group on 'The Lawrence Welk Show'. But it's an even better example of how those shows within shows are not the exact same ones as seen in the real world. This is because of the casting. 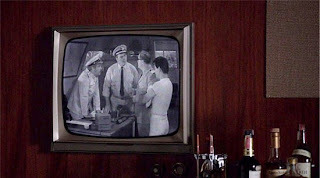 In the original 'McHale's Navy', the stars were Ernest Borgnine as McHale, Joe Flynn as Captain Binghamton, and Tim Conway as Ensign Parker. Tim Conway played the role of Bucky Bright, which is why Ensign Parker looked the same in both versions of the show. The comic actor ended up winning the Emmy Award for Outstanding Guest Actor in a Comedy Series for playing Bucky. But then... we do things differently at Toobworld Central! In the "School Recital" episode of 'Mike & Molly', Mike and his partner Carl arrested a serial nudist named Brian. And he was played by Tim Conway. I'm making the claim that Brian was Bucky Bright. "Bucky" is not a name you give to a baby at his christening. It's a name you give to a cartoon rabbit. So "Bucky" was the elderly comic's nickname - and it's pozz'ble, just pozz'ble, that his true first name was "Brian". And this would disable the Zonk in 'Mike & Molly' Conway's character calls Mike "Captain Binghamton". Brian "Bucky" Bright was making a reference to the character in a TV show in which he once starred. I feel that's a pretty solid "Game Of The Name" and I'm sticking to it. 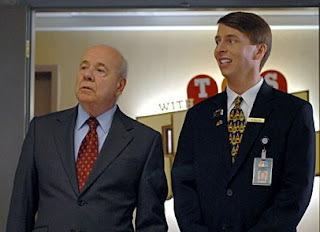 Should Tim Conway show up again in some TV show in which his character's name doesn't contradict either of these two appearances, he'd be in the running for the Birthday Honors List for inclusion in the TV Crossover Hall Of Fame! 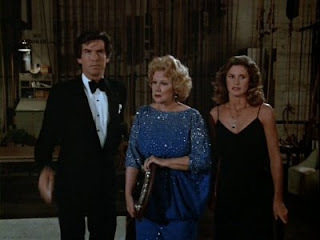 The Remington Steele Agency was hired by three celebrities from Hollywood's Golden Age to find out who was sending them threatening letters. Virginia Mayo was one of the clients while the other two were Lloyd Nolan and Dorothy Lamour. Born Virginia Clara Jones, she began her career in vaudeville. She progressed to films and during the 1940s established herself as a supporting player in such films as "The Best Years of Our Lives" (1946) and "White Heat" (1949). Jerry and Kramer are going to the Tony Awards, Jerry as an invited guest, Kramer as a seat filler. While filling a seat for a nominee who has stepped away, Kramer is accidentally whisked to the stage by excited Tony winners moving through his row. As a result, he receives a Tony Award for the fictional musical Scarsdale Surprise (based on the killing of Dr. Herman Tarnower), in which Raquel Welch is the star. Kramer uses his Tony as a ticket into Sardi's, where the producers of Scarsdale Surprise have a proposition for him - he can only keep his Tony award if he fires Raquel Welch, who like Sam, also doesn't swing her arms when she moves; the reason the producers ask Kramer to fire Welch is because they are terrified of her ("I heard from someone that when they cut one of her lines, she climbed up the rope on side of the stage and started dropping lights on peoples heads." as Kramer quotes). Kramer does fire her and she responds by attacking him and destroying his Tony as well. While walking down the street afterwards, Raquel sees Elaine describing Sam's walk to the police; thinking that Elaine is mocking her, Raquel attacks her, too.